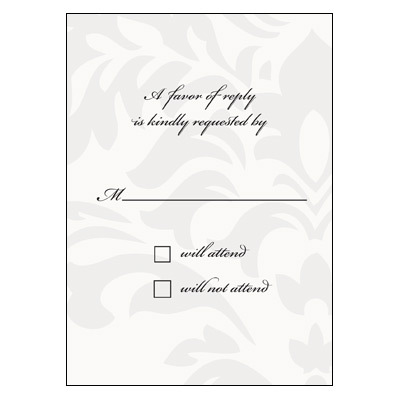 This elegant Quinceanera response card has a cream and gray floral swirls background. A perfect addition to the elegant gown invitation. The text is printed in black. Card measures 3.5x5.